Paul has had over 31 years’ experience within Industry & Commerce, the last 19 at Finance Director/Board level with 11 years as an Interim Finance Director. A Fellow of the Chartered Institute of Management Accountants (CIMA), the Institute of Directors (IoD) and the Association of Accounting Technicians (AAT), Paul is also the IoD’s 25th Chartered Director – the only professional qualification currently in existence for Company Directors. He gained a Masters Degree in Business Administration (MBA) at the Edinburgh Business School, Heriot Watt University. Paul became a Fellow of the Institute of Leadership and Management in 2009, a Chartered Manager of the CMI in 2013 and is now a member of the Institute of Interim Managers and the Turnaround Management Association. Paul was President of the North West Midlands branch of CIMA from 2003 to 2005 and again from 2011 to 2014 and has been elected as CIMA Chairman for the entire West Midlands region for a 2-year tenure throughout 2015 and 2016. 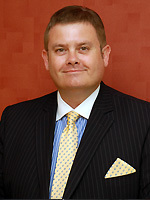 In 2004/05, Paul attended a residential Masters Certificate level course in Executive Coaching with the CEO’s Office (where the lectures were conducted by luminaries including Sir John Whitmore, who developed the GROW model, and Nancy Kline, author of ‘Time to Think’), and is currently on the National Coaching Register and CIMA’s pilot mentoring programme. £20m MBO of CNC Machine Tool business in June 2014 (following £4m refinancing in 2011). (advisors: Grant Thornton, Gateley, and PwC re: Employee Benefits Trust & Employee Share Scheme). Secondary MBO of construction business with a deal value in excess of £150 million (3 classes of senior debt and 3 classes of loan notes/PIK notes), including lead role in VDD exercise (advisors: Rothschild, KPMG, Wragge & Co, Marsh). Subsequent integration, consolidation and Acquisition Accounting (Fair Value Adjustment, extended goodwill amortisation requiring impairment review & DCF model). Also, integration and consolidation of original MBO. MBO/Sale of Telecoms business to Lord Young’s PE vehicle in 2005 (advisors: Cavendish & Deloitte). Sale (earn out) of support services business to Compass plc in 2005. Assisted MBO team in 2003 attempt to buy soft FM group (advisors: Sovereign VC & Yorkshire Fund Managers). Assisted Private Equity backed business with urgent debt collection/stabilisation, relocation of Finance function from Kent to the Midlands and a refinancing to act as a platform for growth. Introduced weekly flash reports and graphical dashboard to monthly reporting to provide clarity of information for the management team. Parachuted into soft FM business where the bank was foreclosing and put in place an emergency invoice discounting line of £3 million within 10 days. Set-up weekly cash flow reports and set working capital targets for debtors/creditors. Negotiated short term payment holiday with HMRC re: PAYE/NIC payments. Instigated P&L and Budget workshops to Area Managers to focus business on cash, profit and budgetary control. Renegotiated contracts with major suppliers to more favourable terms. Restructured business into Group structure to allow controlled disposal of parts of the business. Involved in the raising of £65m of senior debt and £7.5m of revolving credit from Barclays/RBS/HSBC/NAB and £50m of loan notes from Private Equity and shareholders. Raised £10m of finance to allow refinancing of mezzanine and subordinated debt into senior debt on more favourable terms. Increased BoS facility for client from £1m to £4m. Raised £7.75m for MBO. Identified and won £100,000 of ERDF grant funding for client company in 2013. Strategic acquisition of personal organiser company for AIM listed PLC printing business (and subsequent integration). Acquisition of 3 support service companies for soft FM group (and disposal of a subsidiary) and the resultant integration of businesses, systems and people. EBITDA/Operating cash conversion ratio in excess of 100% allowing £8m of free cash to be accumulated and used within MBO transaction in 2014. EBITDA/Operating cash flow conversion of 120% (£3.7m cash generated from debtor/creditor management in FY08). Accelerated repayment of debt funding from 8 year term to 2½ years due to cash management and profitability. Achieving financial closure on a £102m PFI contract (and a 10% performance bond for 4½ years at 0.8% versus previous bank rate of 2.5%. As Interim FD of telecoms business brought accounts up to date (5 months behind) and chased aged debt and reduced bad debt provision by £350k. Contract hire of 450 vehicles with FM company with £1.2m cash back (manufacturers discount) via Lombard. Vehicle fleet refinancing deals for 3 companies adding £1.8m to cash flow to Telecoms business. Launched new franchise marketing programme with £75k budget for exhibitions, websites and direct mailings. Grew sales from £700k pa to £16m pa in six years, creating additional £800k pa profit. Timely and accurate preparation of Management Accounts, budgets and forecasts. Timely and accurate preparation of Statutory Report & Accounts (and all associated notes). Efficient maintenance and review of all ledgers. Effective management of finance teams. "Paul has played a central role in this extremely hectic financial period against a background in which he has had to manage the creditors against a very tight cash flow and negotiate (successfully) with the Crown to spread payment of our taxes over a longer period of time. The Board extended his initial 5 months in order to maintain continuity during this testing time for the company. Paul has demonstrated a calm and positive manner throughout this period instigating and managing the myriad of changes necessary when the finance function is relocating and the company is refinancing."